Every summer I go bat guano crazy and buy fruit like it's going out of style just so I can make jam. 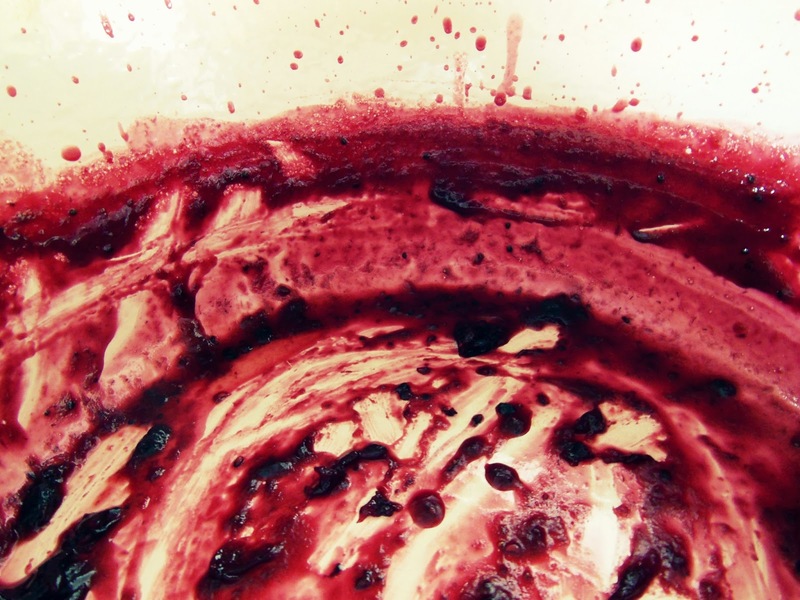 Lots and lots of jam. 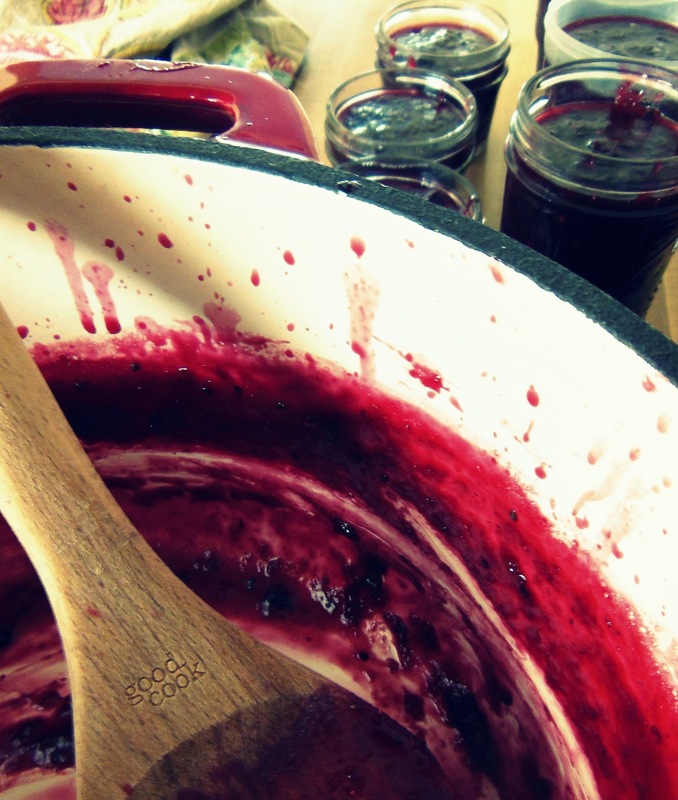 Currently we're out of jam (the travesty!). So in order to rectify that and to start emptying my freezer (let's just say that I may have bought more fruit than I could keep up with so I had to freeze a lot), I made jam. Berries! 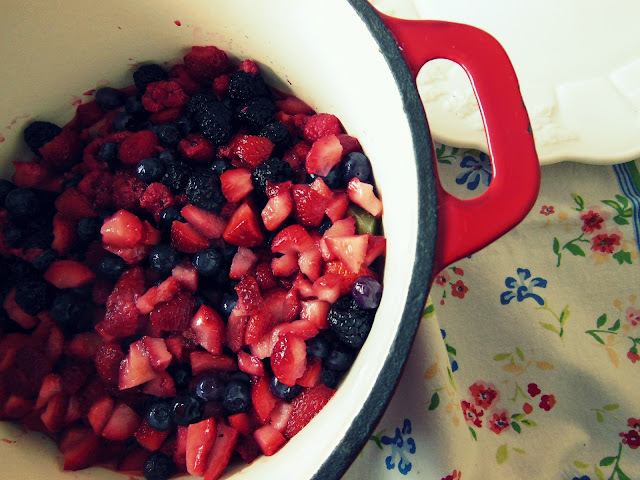 There's a quart of strawberries, a pint of each blueberries, blackberries and raspberries that were in the bag. And a kiwi that wasn't getting any fresher just sitting on the counter. See it hiding in there? 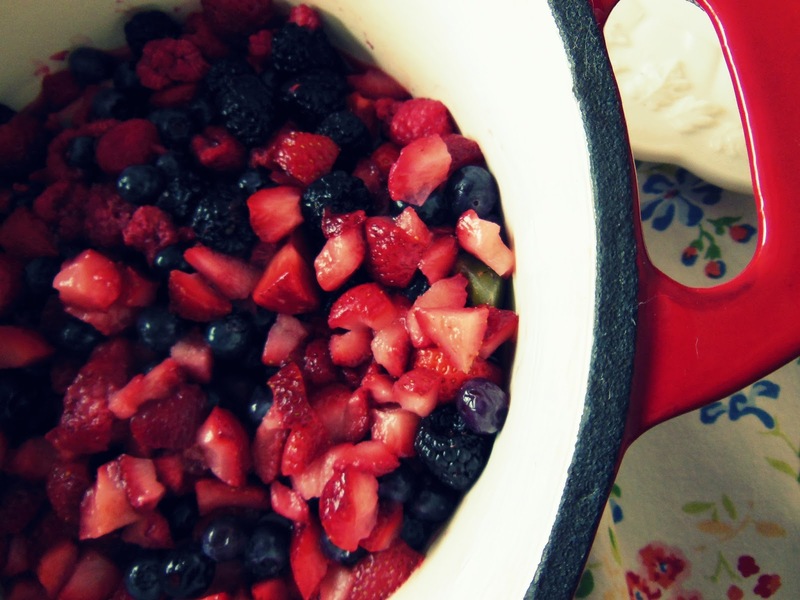 You throw some sugar in there, a few tablespoons of pectin & lemon juice then boil the daylights out of it. Mash it all up with a potato masher and voila! Jam! The stuff gets everywhere. Seriously not cool for a mostly Type A personality who is trying to be more Type B but largely unsuccessful. 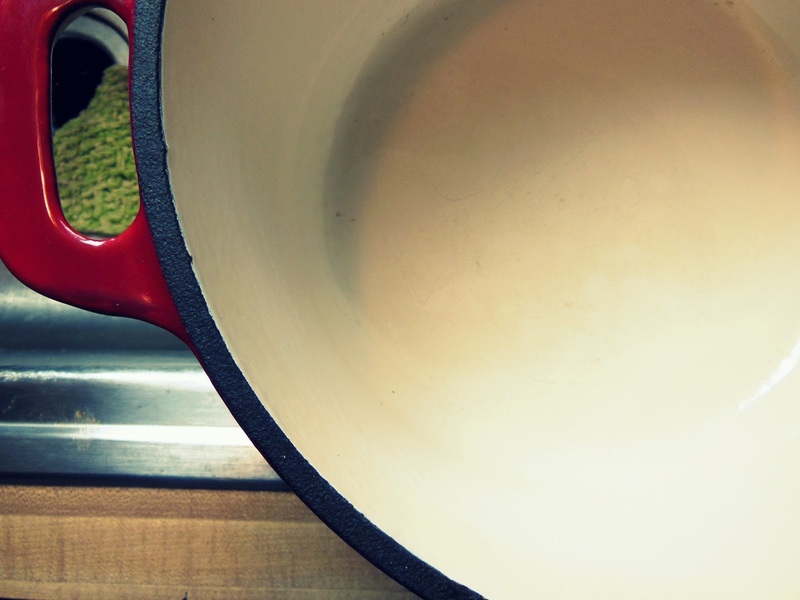 Because the enameled cast iron pot cleans up in seconds. Literally, seconds. 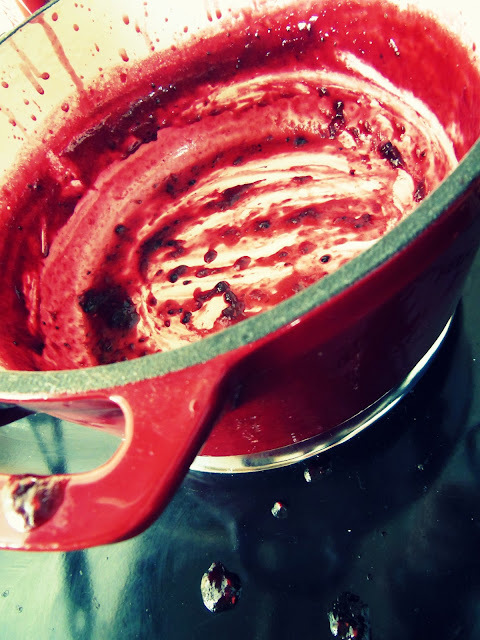 My enameled cast iron pots are favoritest pots EVER. Ever, ever, ever. They're gorgeous, they're good for cooking absolutely everything in, they last forever and they're all eco-friendly & sustainable! The two that I have were gifts. A lot of companies are making them so you can get one in your price range. Do it. Seriously. Go buy one! In other news: We're meeting the builder at the Farmhouse tomorrow for bids on repairs. Eeeek! I'm both nervous and excited to find out what he says. I'll let you know this weekend!